This year’s Helsinki Design Week is organized from 6 to 16 September with the theme ’trust’. 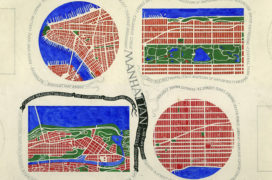 From over 200 events we have gathered a list of recommendations for architecture enthusiasts. See the whole programme here. The Architecture Day seminar speakers are professor Jarmo Suominen (Aalto University, MIT, Tongji University), architect Rasmus Kirkegaard (Schmidt Hammer Lassen) and architect Giles Robinson (Foster + Partners). The annual Eero Saarinen honorary lecture, presented by the Museum of Finnish Architecture, is given by architect Bas Smets from Belgium. For the third time HDW HOP city installations will appear on the streets of Helsinki. The series consists of four installations, including Fire Garden by designer Leena Kouhia and architect Sofie Hägerström and Rubbish Philosophy on Espa Stage by Isa Kukkapuro-Enbom and Henrik Enbom in collaboration with the American artist Howard Smith (b. 1928). 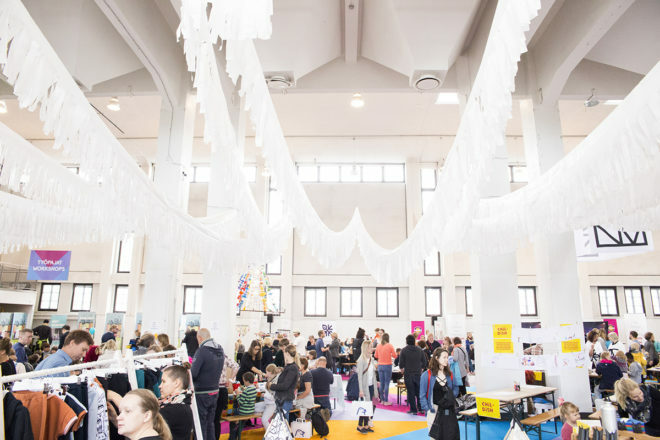 The interior, design and furniture fair Habitare will be held during Helsinki Design Week at Messukeskus. The winner of the Habitare Design Competition will be revealed on Wednesday 12 September. 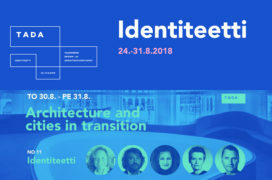 On Frday 14, architect, Professor Rainer Mahlamäki will give a talk on identity at the Habitare Arena. Habitare Pro section for professionals is open from Wednesday to Friday. 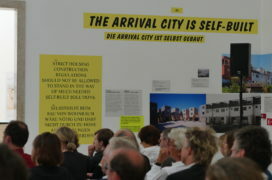 The programme includes talks by several Finnish architects and a keynote by Bolle Tham and Martin Videgård. This year the exhibition space is designed by JKMM Architects. A guided tour to the Finnish Architecture Biennial Review in Finnish. The exhibition material is both in Finnish and English. Four architecture and interior design offices open their doors to visitors on Thursday the 13th from 5 pm to 8 pm. A guided tour starts at Profit Interior, address Snellmaninkatu 27, continues to the office of Tuomas Siitonen and Johannes Nieminen as well as the Pinto & Kanttia2 office in Hakaniemi, and ends at Ark-byroo on Kustaankatu. Seven studios from other creative fields have their offices open the following day. A total of thirteen ambassadors’ residences will open their doors and host Design Diplomacy discussions. Pre-registration is required and registration is limited to two Design Diplomacy events. Designers of the new Helsinki Central Library Oodi Juho Grönholm and Samuli Woolston will have a talk with the architects of Oslo’s new library Marius Mowe and Einar Hagem in the Norwegian Embassy, which was renovated in 2013 by ALA Architects. In the Latvian Embassy we will hear architects Zaiga Gale and Emmi Keskisarja and in the Estonian Embassy the stage is given to architect and architecture theorist Vilen Künnapu. In addition to hosting interesting conversations, many of the residences are architecturally remarkable. The new Aalto ARTS building Väre at the Otaniemi campus is presented by the main architect Jussi Palva of Verstas Architects and project manager Sari Dhima. Pre-registration required. This new event at WeeGee includes talks, workshops, walks and guided tours. Throughout the day, the talks will be hosted by Kasper Stömman. The speakers include Veppe Erkkilä from Innovarch who will talk about concrete architecture, art historian Marko Home and the Futuro house, and architect Henna Helander and the WeeGee building’s history. Image magazine’s editor-in-chief Niklas Thesslund and lead producer of Lähiöfest Katja Lindroos contemplate on who’s terms cities are developed on. Activities for children are mainly organised in Helsinki City Museum, the City Hall and Kattilahalli in Suvilahti. The highlights include workshops organised by the pupils of Arabia school, Children’s Urban Research Lab, LEGO workshop and Let’s build a house! workshop.